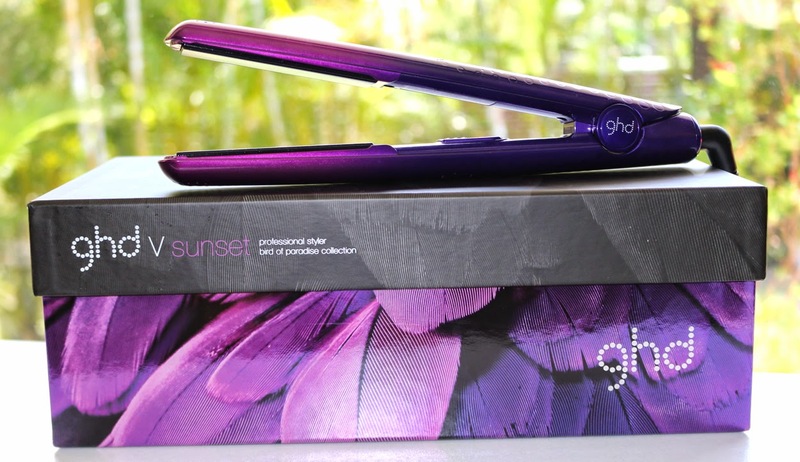 I am a huge fan of ghd stylers, they're some of the best on the market. With my origins in hairdressing, it's all we would ever use on our clients. 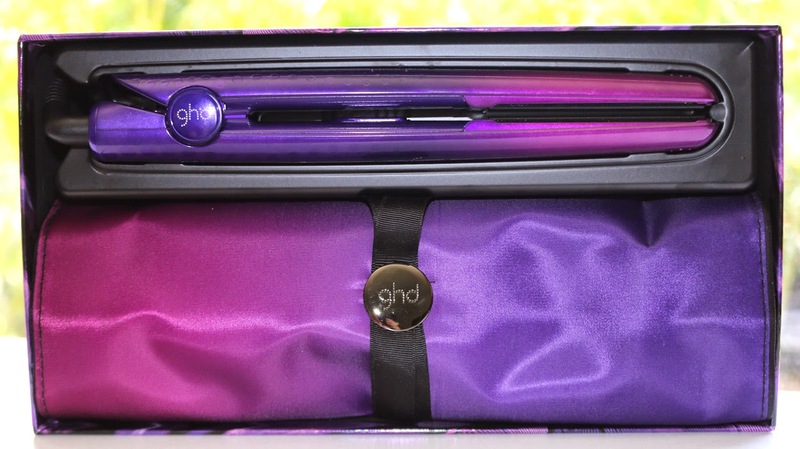 Ghd have a way of always releasing fabulous new stylers that I just must have and "sunset" from the bird of paradise collection is definitely one I couldn't pass up. Matched with a complimenting heat proof mat, this makes for an unbeatable duo for frantic early mornings in a rush to work. Since the styler heats up so quickly (as you will find out when you read on) and you might be busy doing other things and forget about your straightener, the heat proof mat is a lifesaver. The 'birds of paradise' collection offers three incredible colours; turquoise/teal, pink/coral and of course the one I have which is purple/indigo. Just like if you have your hair ombre, you can now have your straightener match with these three colour combinations blending two shades together. There is only one heat setting as it is self-regulating but it varies between 175-185 degrees which ghd says is the optimum temperature to style your hair. This styler actually has a sleep mode so if you leave your straightener turned on, after half an hour if it hasn't been used it will beep. Then it will eventually go into sleep mode where the plates cool down and the heat stops. This is such a great safety function to have and I think it's really unique. Little things like the cord really do make a difference, especially if you're using it every day so you will be pleased to know that it has a generously long cord and it's swivel which makes life so much easier because it allows for more movement and prevents tangling. It has a universal voltage so with an adapter you can plug it in at most places in the world without blowing it up. The main problem with curling your hair with a hair straightener is usually that the heat isn't even throughout the straightener because it doesn't get as hot on the outside. 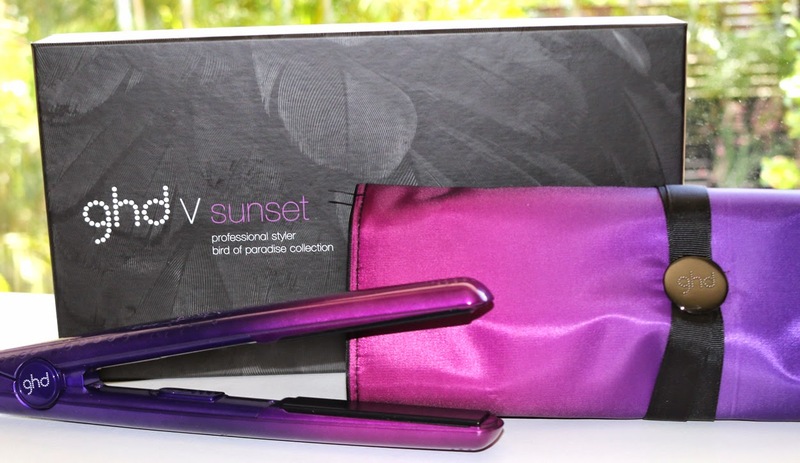 Fortunately, with this straightener there is a very even distribution of heat so you can actually get a really good curl because the plastic around the outside heats up as well. This styler heats up crazily fast, within 30 seconds but usually quicker than that. So what makes a ghd so incredible is that they are super versatile; they aren't just a hair straightener! Due to the rounded barrel, the style can also be used to create curls. The great thing about ghd's are that they will last you a really long time; I'm talking 6-10 years! If something does go wrong with your styler there is a 2 year guarantee where you can send it back and get another one. I have done this in the past when one of my ghd's stopped heating up and customer service was amazing. They had a new one sent out to me within a fortnight. The ceramic coated plates assist the styler to heat up and also leaves a sleek and shiny finish on your hair. Something else which is awesome is that the plates are flexible which allows for more movement and is less likely to pull or tug on your hair. The stylers from the 'Bird of Paradise' retail for $249 and that may seem like a lot of money for a hair tool but when you think about how long it's going to last you, it's definitely a worthwhile investment. I hope that you found this review helpful.